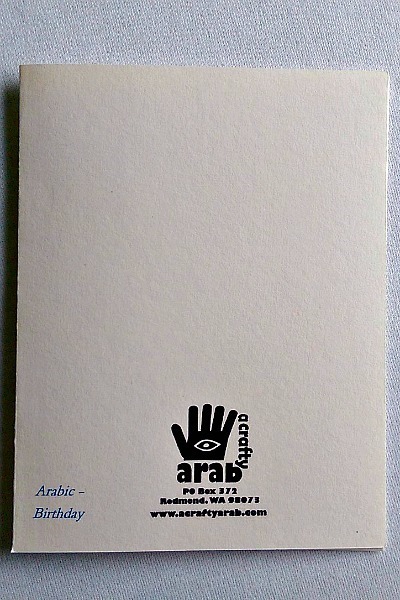 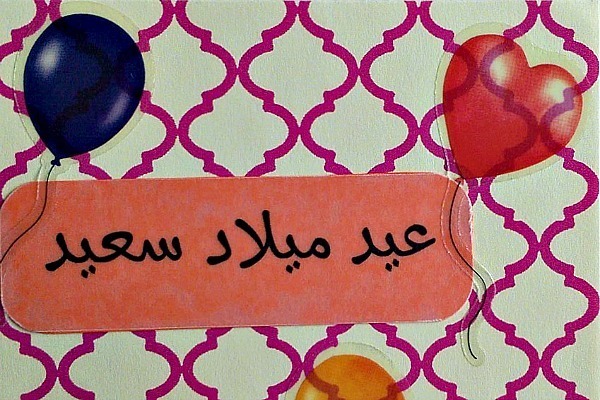 Give this adorable birthday card written in Arabic to your special someone. 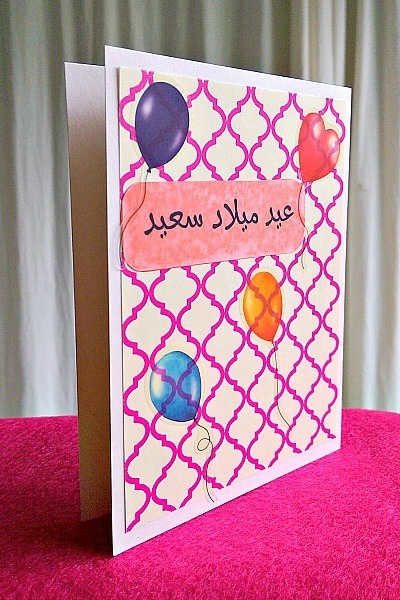 It features an Arabesque beige and pink background with four balloons, including one in the shape of a heart. 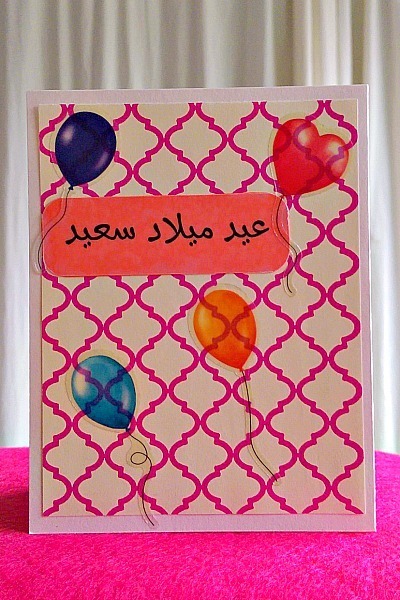 The words "Eid Milad Sa'id" have been printed on vellum and added to a bright, fun orange cardstock.